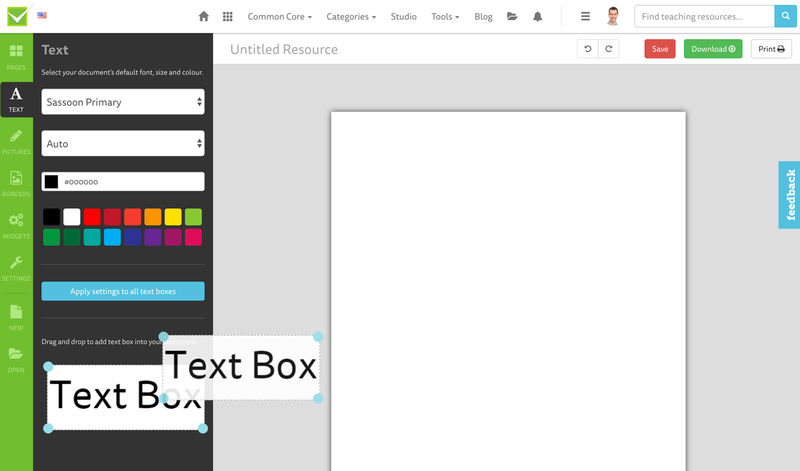 Three steps to add a text box to your Studio document. Click Text on the left hand navigation tabs. 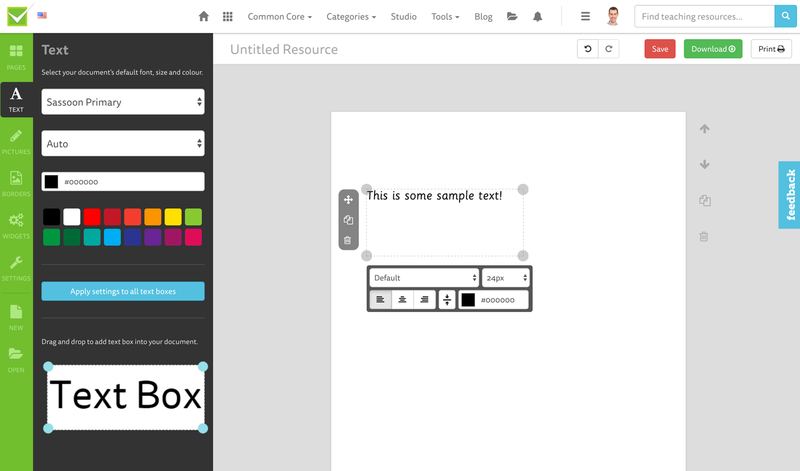 Click and drag a Text Box onto a page in your document. Click on the new Text Box and start typing!